Finland is a country of some 5.5 million people living in it and some of those people are very pretty women models. Here is a list and photos of the top female models from Finland in 2017. Hope you like the list and photos and watch for these pretty women models from Finland. Pia Pakarinen is a beautiful Finnish model who was born on October 5, 1990, in Juuka, Finland. 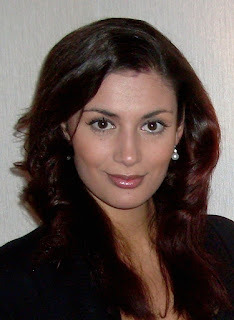 Pia was Miss Finland in 2011. Linnea Aaltonen was Miss Finland in 2007 and now works as a top model in the country and elsewhere. Jasmin Mantyla is a top model from Finland who is also involved in politics in the country. Satu Tuomisto is a top Finnish model who was born on Febraury 17, 1986, in Kokkola, Finland. Satu is very pretty and she was Miss Finland in 2008. Karita Tykka is a model from Finland who was Miss Finland in 1997. Anna Easteden was born on November 29, 1976, in Tohmajarvi, Finland. After a modeling career in Finland, Anna has become a Hollywood actress known for being in movies like "Sideways", TV shows like "Two and Half Men" and "Bones" and being in soap operas like "Days of Our Lives". Linda Wikstedt was Miss Finland in 2008 and she now works as a top model in Finland. Janna Pelkonen is a rather interesting model from Finland. Janna went from being a top model to a TV hostess to being a member of the Finnish Parliament from Helsinki. Martina Aitolehti was born on July 16, 1982, in Helsinki, Finland. Martina was Miss Hawaiian Tropic in 2004 and she is also a singer as well as a top model in Finland. Lola Odusoga is a top Finnish model who was Miss Finland in 1996 and Miss Scandinavia in 1997. Mari Perankoski is the beautiful model in the first photo of this article.